Basic project bundling is not a new concept to transportation, but this approach is built around 10-steps that improve the likelihood of success for these efforts. 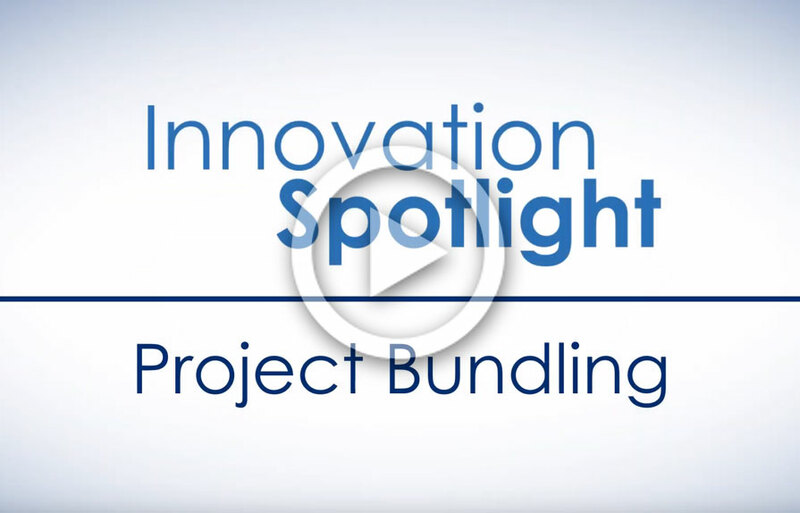 You can learn more about this practice in this Innovation Spotlight video or by contacting Romeo Garcia with the Federal Highway Administration Office of Infrastructure or David Unkefer with FHWA’s Resource Center for information, technical assistance, and training. The Oklahoma Department of Transportation (ODOT) recently adopted Road Weather Management to help combat weather-related crashes. ODOT installed integrating mobile observations (IMO) technology that transformed its trucks into mobile data collectors. This system allows snowplow drivers to report road conditions and stranded motorist incidents to ODOT headquarters. It also provides information ODOT can use to fine-tune salt and sand deployment. Next steps include integrating snowplow data with road condition updates on okroads.org, a software application Oklahoma agencies use to manage weather events. With the help of State Transportation Innovation Council Incentive funds, the agency developed a communication strategy that included a report and news release to share progress on IMO deployment with transportation professionals and the public. To learn more about how Oklahoma is implementing this innovation, please contact Alan Stevenson of ODOT. When severe weather hits, how will your agency and others in your region communicate its impact to those on the road? Two winter storms recently highlighted the value of Pathfinder, a collaborative effort among the National Weather Service (NWS), transportation agencies, and contractors. Pathfinder translates weather forecasts and road conditions into consistent impact statements for travelers. In a Midwest storm, 25 NWS weather forecast offices (WFOs) shared situational reports and coordinated communication with key partners, including transportation agencies, the Kansas governor, three airports, and the Chicago Office of Emergency Management and Communications. Pathfinder partners also successfully worked together during a Pacific Northwest storm, using social media to deliver messages on storm impacts. WFOs in Pendleton, Portland, Seattle, and Spokane participated in briefings with partners on the expected heavy snow and wind, while the Seattle WFO provided onsite support at the Washington State Department of Transportation. To learn more about how your regional agencies can use this technology to better inform travelers, contact Andrew Stern of the NWS.